For those old enough to remember the state of wine in America during the early 1970s, one of the major things that comes to mind will be the shift away from generic wine labeling, replaced with labeling highlighting the actual grape variety or varieties utilized in the production process. Many American wine drinkers can count this as the beginning of their education about different grapes and how they relate to certain styles, and at the time, there was perhaps no grape that measured up to Chenin Blanc in terms of popularity, especially in California. Chenin Blanc is considered by many people to be one of the most — if not the most — versatile grape in the world. Capable of producing a great number of different types of wines ranging from sparkling to sweet and fortified, Chenin Blanc is a veritable chameleon that gets by on its high levels of acidity. It’s also largely overlooked by many modern wine drinkers, but there are plenty of winemakers who are trying to change this. As one might expect given its name, Chenin Blanc is a grape that hails from the country of France — specifically, the Loire Valley (though the grape is thought to have originated in Anjou). The grape shares DNA characteristics with Sauvignon Blanc and is considered to be an uncle variety to Cabernet Sauvignon, thus giving it an interesting lineage that traces back to approximately the 9th century. Up until the mid-1600s, France laid claim to the only production of Chenin Blanc wines in the world. It is assumed that Chenin Blanc then made its way to South Africa as part of a group of clippings delivered to colonist Jan van Riebeeck, though details relating to specifics of this journey are sparse. Nonetheless, Chenin Blanc thrived in South Africa for centuries, and today, it is the most widely planted grape in the region. Soon enough, the grape found its way to many other production regions throughout the world, including California, where it came to prominence during the 1970s. There’s no getting around the fact that New World vs. Old World approaches can completely change the overall flavor and aroma profile of a wine grape, and Chenin Blanc serves as a prime example. If there’s one main difference between the two styles and how they relate to Chenin, it’s fermentation temperature. In France, for example, Chenin Blanc wines are fermented at higher temperatures, resulting in a semi-sweet, honeyed finish. The opposite is true in regions such as California and South Africa, where fermentation takes place at much lower temperatures and yields tropical fruit flavors that aren’t able to express themselves in warmer fermentations. Another difference between New World and Old World Chenin Blanc worth highlighting is how the grape is actually utilized. Old World producers have no shame in featuring Chenin Blanc front and center in single-variety wines, prizing it for floral, honeysuckle aspects. In the New World, however, Chenin Blanc is typically used as a “workhorse” grape, where it is inserted into blends so as to utilize its acidity for balancing purposes. In most cases, wines produced from Chenin Blanc are meant to be consumed fresh rather than aged, although fortified versions of the wine can age for many years. As mentioned above, the flavor and aroma of Chenin Blanc can depend in large part on where the grapes are grown and how they undergo fermentation. Across the board, however, Chenin Blanc is known for showcasing characteristics of minerality, angelica and honeysuckle. In the Loire Valley region of France, the grape tends to take on a slight chalkiness, rounded out by flavors of quince and acacia. South Africa is an entirely different story, where Chenin Blanc tastes of guava and pineapple more often than not. 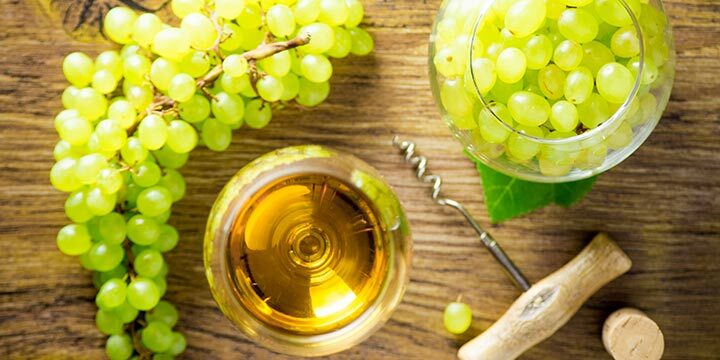 Dessert styles of the grape tend to hover around 12% alcohol by volume and can take over ten years before reaching peak drinkability, showing intense honeyed aromas and a sweet, sticky mouthfeel. If you’re looking to get a well-rounded view of the Chenin Blanc grape, go with three bottles — one from the Loire Valley region of France, one from South Africa and one from California. 2014 was a good year for California Chenin Blanc, and Chalone Vineyard 2014 Heritage Vines Chenin Blanc is an excellent example. Showing notes of yellow pear, juicy plums and fresh basil, this is a knockout bottle that can be had for as little as $25, and now’s the perfect time to open it before it starts to degrade. MAN wines are known throughout the world for offering an excellent value to price ratio, and their Cuvée V Chenin Blanc speaks to the versatility of the both the grape and the winemaker. Fresh, floral and semi-sweet, it’s not dissimilar to what one might expect to find in a bottle of Vouvray. Look for notes of melon and citrus in the finish. One of the best examples of Loire Valley Chenin Blanc you can expect to find at its price point of just $40, Château de Fesles 2011 Vin Rare is worth hunting down. A dessert wine like no other, Château de Fesles 2011 Vin Rare embodies flavors of white peach, juicy pineapple and sweet basil. It’s drinking well right now, though it can be expected to open up over the course of the next few years even more. Chenin Blanc is a true wonder of the wine world, and with so many different styles/regions to try it from, it’s a grape that never gets boring, no matter how many times you’ve had it. If you’re entirely new to Chenin Blanc, try opening one bottle each from France, South Africa and California at the same time so as to experience the vast differences between the three. The more you taste, the more you’ll get to know this versatile, flavorful grape.